A survey of young drivers has revealed that 93 per cent feel they are being priced off the road, with many complaining of unrealistic insurance premiums once they go on to pass their test. The survey of more than 3500 learner drivers also showed that only 15 per cent of people that had passed their test had bought and insured their own car. The poll was carried out by learner driver insurance firm Provisional Marmalade with learners who have been sent a new style of logbook designed to help co-ordinate the interaction between private practice with family and professional tuition with driving instructors. In fact one learner driver is so concered about rising costs that he has petitioned his local MP. Seventeen year-old Joshua Deacon was quoted between £3000 and £9000 a year for his ten year-old 1.0-litre Vauxhall Corsa. The teenager took his case to Hayes and Harlington MP John McDonnell, who endorsed his online petition and tabled an Early Day Motion in the House of Commons. Mr McDonnell called on the Secretary of State for Transport to negotiate reforms with the insurance industry. 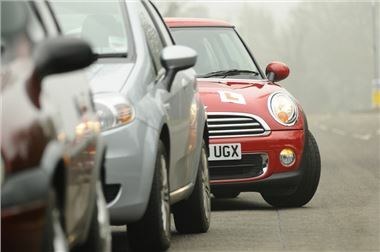 He also suggests using excess costs as opposed to up-front premiums to mediate the cost for responsible young drivers. So far, more than 20 MPs have backed the motion. "This is a very concerning trend as it will have a damaging effect on the economic mobility of this age group," said Nigel Lacy of Provisional Marmalade. "Young people cannot afford to leave the parental home, tuition fees are scaring many away from further education and now we have restricted mobility through exceptionally high motoring costs," he added. The survey also highlighted a worrying trend with 84 per cent of respondents ignoring the advice of the Driving Standards Agency and spending twice the amount of time a week practising with family rather than a driving instructor. On the plus side 95 per cent gave a thumbs up to the way that they are being taught, while just 3 per cent thought they were being given just enough tuition to pass a test ­. The Young Driver logbook which is modelled on the Australian version) was well received and more than 90 per cent of people who used them found them useful. Logbooks are not compulsory in the UK but following what is one of the biggest surveys aimed at new drivers, Provisional Marmalade hopes to collect further information about the learning process.